From white sand coastlines and islands to historical structures, South Thailand is the best vacation destination to unwind for solo travelers, families and honeymooners alike. Regardless of when you're in Thailand, you should be able to find good weather. For those of you going there for the first time, read our recommendations of the best places to visit and what to do there! Visit Patong, Karon, Mai Kao and Rawali for beautiful beaches, snorkeling, sea food and shopping. Old Phulet Town is lined with little cafes, bakeries, local markets and mansions. See the statue of the Big Buddha. Phang Nga Bay has limestone caves filled with emerald green water and secluded fauna. Take a tour of the Chalong Bay Rum Distillery to see the making of the best white rum. Watch the Simon Cabaret at Patong Beach. Visit Rang Hill and Phuket Fantasia for an excellent experience of the nightlife, something Phuket is famous for. It is known for its beautiful white sand beaches and a staggeringly beautiful coastline. 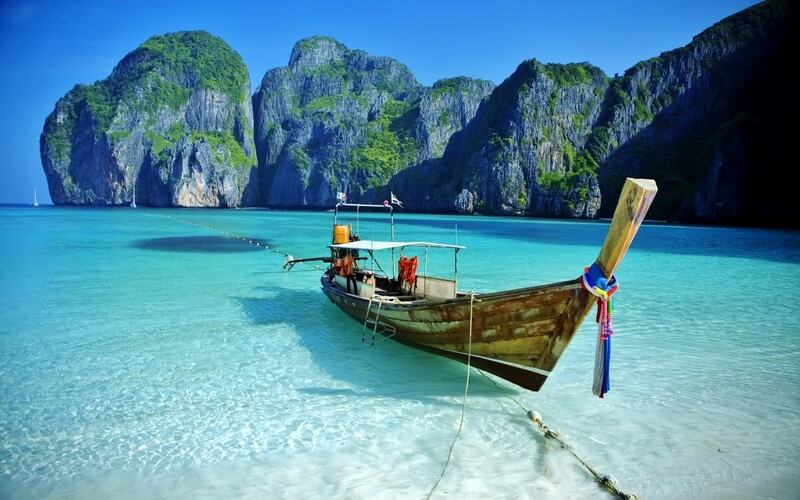 Phi Phi Islands and Ko Lanta Yai are full of sea side resorts. Find opportunities for snorkeling, sailing and kayaking. Eat delicious seafood here. At Railay Beach, enroll in training sessions for rock climbing. It hosts the Rock and Fire Festival annually. In Khao Phanom Bencha National Park and Than Bokkhorani, find scenic attractions of waterfalls and caves, and opportunities for trekking, bird watching, and eco-tours. 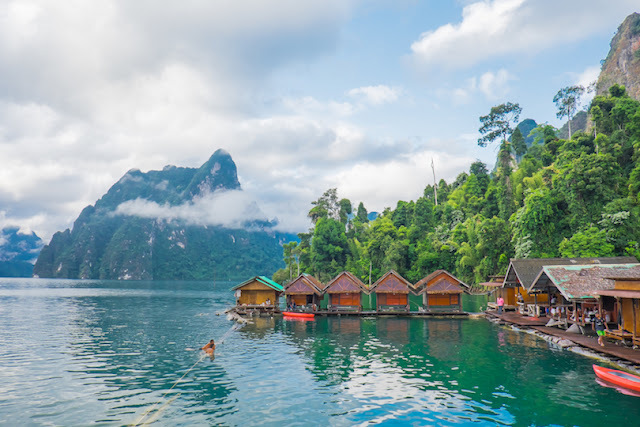 Also spot “Chao Le” or sea gypsies. . Visit the Hat Noppharat Thara - Mu Ko Phi Phi National Park and Nosey Parker’s Elephant Camp. This place is famous for its hippie parties on full moon nights at Hat Rin. A quiet spot here is Hat Khuat or The Bottle Beach. Spend the day swimming and snorkeling. Visit the waterfall Nam Tok Phaeng in the middle of a national park. Climb on Khao Ra, the highest mountain on the island and spot wild crocodiles, deer, etc. Visit the Guanyin Temple, dedicated to the Buddhist Goddess of Mercy. Wat Khao Tham is also famous as The Temple of Reclining Buddha. This gilded statue is one of the largest deities in the world. Ko Similan is the largest island in Thailand. It has more than 25 famous diving spots such as East of Eden and Richelieu Rock. The oldest reefs here teem with coral fish, turtles, manta rays, etc. Discover underwater limestone boulders and other exotic marine life here. We recommend that you stay in tents just beyond the beaches, which are equipped with electricity and sleeping arrangements. You could book yourself a bungalow by the beach. Do the bookings in advance. You could also find accommodation in hotels. Since the inner islands are secluded, there is no cell phone reception or ATM. Carry extra batteries and cash. This is the cultural capital of Thailand. Wat Phra Mahathat Vihan is an important Buddisht temple, containing a tooth relic of Buddha. The structure is decorated with many Buddha statues and elephant heads. It also has beautiful mosques, as it is home to the Muslim community. The local stores sell household items and jewelry, patterned with gold and silver on a black base, and baskets made from intricately woven fern stems of different colors. 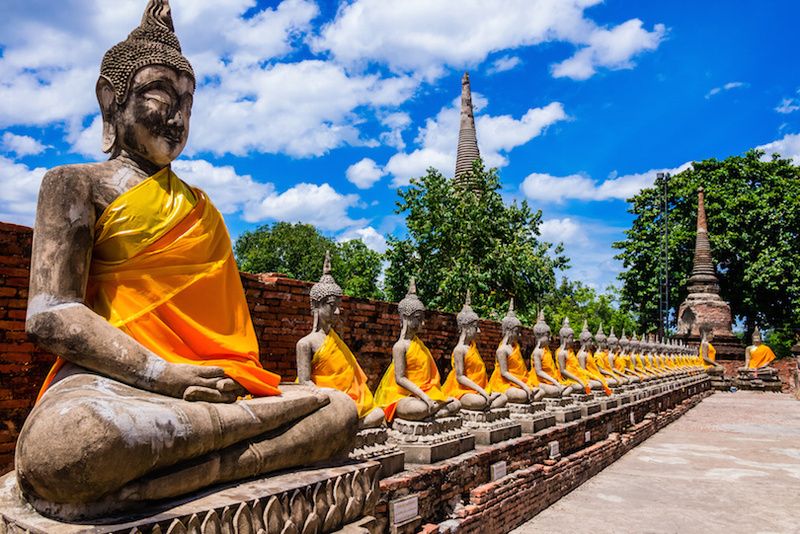 We hope you find this guide instructive and have a pleasant trip to Thailand!